A half-day rafting trip on the Salmon River near Sun Valley, Idaho will be the highlight of your vacation. This popular whitewater trip with lunch features class II-III whitewater fun, experienced professional guides and a catered meal served beside the river. 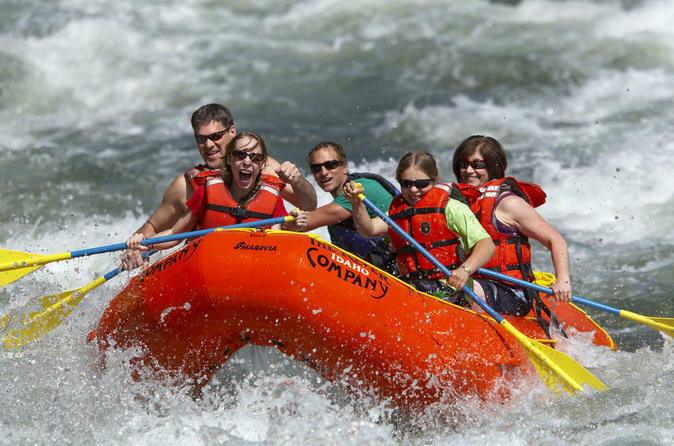 While in the whitewater state, don’t miss out on this rafting trip! This adventure will make you feel like a true river pioneer but at a level suitable for the whole family.